…flexibility is just a tool to use exceedingly sparingly, only when it substantially increases power. There’s a lot of meat in this statement, with direct relevance to trekking, and trekking gear. Now, it depends on how one might define power. Traditional definitions might equate power to speed, or distance. A more thoughtful person might consider that efficiency reflects power while on an expedition. I’d propose that these superficial manifestations of power be completely discarded in lieu of discovering what emotional and mental power is all about, which is simplicity, and the freedom from having to fiddle, choose, and think about stuff that isn’t really that important. Four stakes and a stick. It doesn’t get much easier than this. Simplicity is one of the reasons I love pyramid shelters, and for most summer trekking in the mountains, why I don’t fool around with extra things like ground cloths and bivy sacks. Above: Dupuyer Creek, Bob Marshall Wilderness Complex, Montana. SIGMA DP2s. What if your backpack had only one compartment and didn’t offer a zillion straps and organizational doodads?This is where gear comes in. Consider the following questions in the context of the aesthetic complexity (call it flexibility if you like, but do recognize is it for what it is) and how much power a feature-rich piece of kit really provides for you on a walk in a Wild Place. What if your shoes provided only enough structure to protect your feet, and didn’t offer pronation control, cushioning, arch support, and speed laces? What if your cook kit was a pot, a spoon, and a firestarter, and not much else? What if you left your sunglasses case at home? 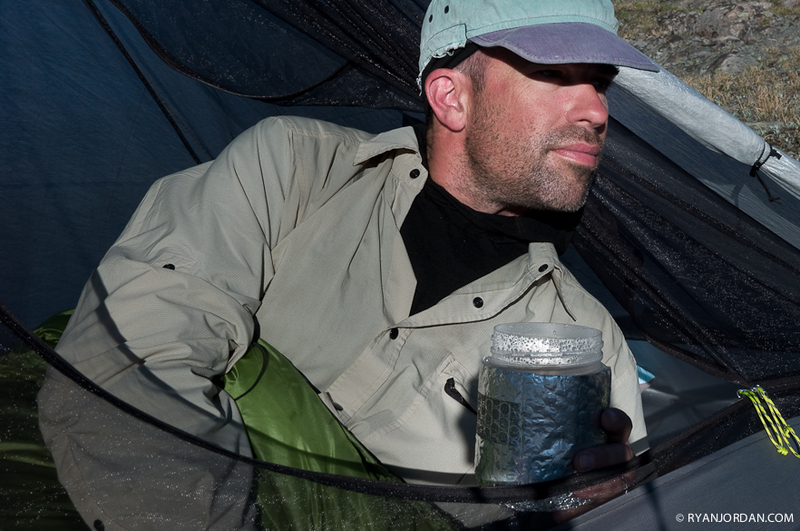 What if you replaced your $1000 Orvis fly rod and reel with something simpler, like a Tenkara rod? 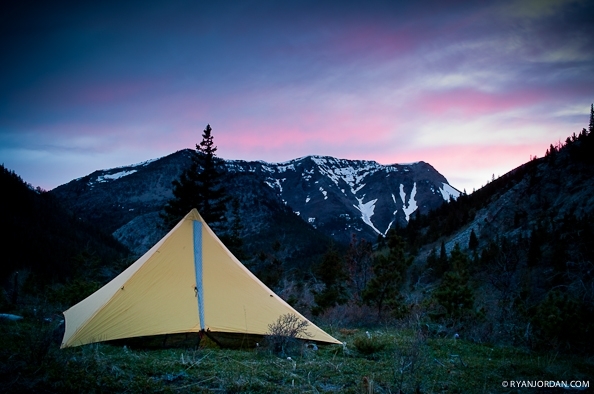 What if you replaced your tent with a tarp? What if you limited the number of items you carried in your pack to 50? 20? How about 10? I mean – really – what if? Maybe we don’t ask that question enough, and really evaluate the consequences of our kit choices. These are questions an idealist likes to ask, but the answers reveal practical limitations about how we look at engaging ourselves with (into) a Wild Place. Everyone’s answers are different, of course, because everyone has their own definition of what “power” really means in terms of the success of a walk. The thesis that I’m exploring is that there is a balance between aesthetic simplicity and functions-features-flexibility, and that I’m still a long ways from achieving the balance that I desperately crave in the Wilds, and that my experiences are still riddled with more complexity than I want. Here’s a brief, and total gear list that I used for weekend trekking in Montana last fall and this summer. The goal is to achieve an aesthetic form of kit simplicity and see what comes out of it in my experiences. And I’m sure you’ll find more stuff absent from my list. Now, realizing that the kit can be distilled to a pack, pad, bag, clothes, pot, spoon, firestarter, and bear bag – without entering the realm of Wilderness Survival – the real freedom of a simple kit becomes apparent. The need to ask “hmmm…where did I lay that piece of kit?” goes away. And the activities of gear repair, gear organization, gear finding, gear tracking, and gear using decrease substantially in time.